1Institut National de la Recherche Scientifique–Énergie Matériaux Télécommunications, Varennes, Québec J3X 1S2, Canada. 2School of Engineering and Physical Sciences, Scottish Universities Physics Alliance, Heriot-Watt University, Edinburgh, UK. 3The MOE Key Laboratory of Weak Light Nonlinear Photonics, School of Physics and TEDA Applied Physics School, Nankai University, Tianjin, China. 4Centre de Physique Théorique CNRS, École Polytechnique, Palaiseau, France. 5College of Optics, Center for Research and Education in Optics and Lasers, University of Central Florida, Orlando, Florida, USA. 6Department of Physics and Astronomy, San Francisco State University, California, USA. 7Institute of Fundamental and Frontier Sciences, University of Electronic Science and Technology of China, Chengdu, China. Electric discharges are part of our everyday life. On a large scale, lightning is one of the most spectacular atmospheric phenomena, while on a much smaller scale -- cars, for instance -- rely on electric discharges for igniting the fuel. Small-scale controlled discharges find relevant industrial applications, e.g. in cutting and milling, and are also investigated as a mean to control gas flows and pollution. Since the seventies, it has been realized that intense laser pulses may trigger and guide electric discharges , and ground breaking experimental results started to appear few years later (see e.g. [2–4] and references therein). From these successes, scientists have theoretically and experimentally investigated further on the laser guiding effect, also stimulated by the possibility of applying this concept to lightning control and protection . While at standard air temperature and pressure conditions an electric field of nearly 34 kV/cm is required to start an electric arc between two electrodes, this threshold decreases with decreasing gas density. An intense laser focused in air ionizes the gas and locally increases the temperature. To this initial stage, a localized decrease in the density follows, which allows the discharge to start at lower than a standard electric field. This is the dominant effect responsible for the laser triggering and guiding mechanism [6,7]. In last few years researchers have demonstrated that the intense peak of laser pulses may travel in free space along complex trajectories, instead of the well-known straight line . To enable this new degree of control the laser wavefront must be manipulated with proper optical elements. For instance, to generate curved laser beams a cubic phase modulation is required, and can be obtained either by designing a specific phase mask or by exploiting the aberrations of standard lenses. The beam generated this way is named Airy beam and the generalization of its behavior recently resulted in a vast available literature. Now, curved beams that follow an almost circular path or more complex trajectories can be obtained [9,10]. The research into laser shaping also brought to attention the ability of particular beams to self-heal, i.e. to recreate their intense part even after being partially obstructed. This happens, for instance, for Airy beams, and also for Bessel beams, another class of laser beams obtained by focusing a standard laser with a conical lens, instead of an ordinary one. In the present work, recently published on Science Advances , we have combined the concept of laser guided electric discharge with the possibilities allowed by the recent results on beam shaping, and we have shown how electric sparks can be guided along a curved path avoiding an obstacle (see Fig. 1). Furthermore we have demonstrated that the self-healing property of laser beams allows the discharge to go back on track also when the obstacle cannot be avoided. In our work we have employed a high-voltage generator able to deliver a potential difference of up to 35 kV applied to two wire electrodes suspended in air. At a distance of 5 cm no discharge occurs since the applied field is, at most, 5 times lower than the air breakdown field. Figure 1. Sketch of the experiment. A phase mask and a lens reshape the laser beam into an Airy beam, which bend along the propagation and generate plasma on a parabolic shape. The region of air heated by the plasma has a reduced density, hence allowing the discharge to occur and guiding it along its curved path, overcoming an obstacle that is in the line of sight of the two electrodes. The inset on the top-right shows the actual measurement, acquired with a photo camera (top view). The obstacle is an opaque glass. We then focus a shaped, intense laser pulse (intensity > 1012 W/cm2) between the electrodes, ionizing the air and therefore heating the gas. We compared different shapes: a Gaussian beam (the most common beam shape), a Bessel beam, an Airy beam, and an S-shaped beam, obtained inserting in the laser path i) a standard lens, ii) an axicon (conical lens), iii) a tilted cylindrical lens system and iv) a phase mask, respectively. This way we have seen that electric discharge occurs only when the laser pulse ignites the plasma and the discharge path indeed follows the trajectory of the shaped laser pulse. For the Gaussian beam we observe a quite erratic behavior, consequence of the poor spatial localization of the heated gas; the discharge appear more deterministic when employing a Bessel beam, due to the high spatial localization of the Bessel peak. Finally, the discharge is clearly curved when an Airy beam is employed, as shown in the inset of Fig. 1. This allows conducting the charge from one electrode to the other while avoiding an obstacle that is placed in the direct line of sight. Bessel beams and Airy beams share the ability to regenerate after hitting on an obstacle. This is mainly due to the fact that the energy responsible for the build-up of the intense laser peak flows from a reservoir that is off-axis with respect to the intense portion of the beam. We have shown that the beam self-healing allows guiding the electric discharge along a predefined trajectory even in case of an obstacle blocking part of the beam. This is shown in Fig. 2 for the case of a Bessel beam. The laser propagates from left to right and is focused by the conical lens visible in the left of the picture. A tiny plasma plume develops over few centimeters and regenerates after hitting the obstacle (see inset in Fig.2). When the potential difference is applied to the electrodes, a discharge occurs following the path defined by the laser plasma. It performs a jump in a non-controlled way, right after the obstacle, and then goes back on track as soon as the laser plasma reappears (see Fig. 2). Figure 2. Self-healing and electric discharges. We show that Bessel beam induced plasma reappears after the beam is obstructed by an obstacle, due to the Bessel beam self-healing property (see inset, the laser propagates from left to right). This effect finds a straightforward application in guiding electric currents: even if the dielectric obstacle cannot be avoided, the current can be delivered on target following the predefined path. We have shown that shaping of laser beams allows extensive control of the path over which electric currents can be guided in air. Our results have shown that a reduction of up to a factor 10 in the breakdown voltage can be obtained with the proper laser beam, and this opens the possibility to realize complex discharge path and extreme curvatures that will be investigated in the future and may find applications e.g., in the machining industry. R.M. and F.L. gratefully acknowledge Ministère de l’Enseignement Supérieur, de la Recherche, de la Science et de la Technologie (MERST), the Natural Sciences and Engineering Research Council of Canada (NSERC) and Fonds Québécois de la Recherche sur la Nature et les Technologies (FQRNT) for funding this work. M.C. acknowledges the support from the People Program (Marie Curie Actions) of the European Union’s Seventh Framework Program (FP7/2007-2013) under REA grant agreement no. 299522. The work of D.N.C. was supported by the Air Force Office of Scientific Research (AFOSR, MURI grant no. FA9550-10-1-0561), and of Z.C. by the AFOSR and National Science Foundation (NSF). D.F. acknowledges financial support from the European Research Council under the European Union’s Seventh Framework Programme (FP/2007-2013)/ERC grant agreement no. 306559, and the Engineering and Physical Sciences Research Council (EPSRC, UK, grant EP/M006514/1). A.C. and C.M. acknowledge financial support from the French Direction Générale de l’Armement (DGA). Experiments were carried out at the Advanced Laser Light Source (ALLS) facility located at the Institut National de la Recherche Scientifique. David W. Koopman, T.D. Wilkerson, "Channeling of an ionizing electrical streamer by a laser beam", Journal of Applied Physics, 42, 1883–1886 (1971). Abstract. X.M. Zhao, J.C. Diels, "Femtosecond pulses to divert lightning", Laser Focus World, 29, 113 (1993). M. Rodriguez, R. Sauerbrey, H. Wille, L. Wöste, T. Fujii, Y.-B. André, A. Mysyrowicz, L. Klingbeil, K. Rethmeier, W. Kalkner, J. Kasparian, E. Salmon, J. Yu, J.-P. Wolf, "Triggering and guiding megavolt discharges by use of laser-induced ionized filaments", Optics Letters, 27, 772–774 (2002). Abstract. D. Comtois, C. Y. Chien, A. Desparois, F. Génin, G. Jarry, T. W. Johnston, J.-C. Kieffer, B. La Fontaine, F. Martin, R. Mawassi, H. Pépin, F.A.M. Rizk, F. Vidal, P. Couture, H. P. Mercure, C. Potvin, A. Bondiou-Clergerie, I. Gallimberti, "Triggering and guiding leader discharges using a plasma channel created by an ultrashort laser pulse", Applied Physics Letters, 76, 819–821 (2000). Abstract. Jérôme Kasparian, Roland Ackermann, Yves-Bernard André, Grégoire Méchain, Guillaume Méjean, Bernard Prade, Philipp Rohwetter, Estelle Salmon, Kamil Stelmaszczyk, Jin Yu, André Mysyrowicz, Roland Sauerbrey, Ludger Wöste, Jean-Pierre Wolf, "Electric events synchronized with laser filaments in thunderclouds", Optics Express, 16, 5757–5763 (2008). Abstract. F. Vidal, D. Comtois, Ching-Yuan Chien, Alain Desparois, B. La Fontaine, T.W. Johnston, J. Kieffer, Hubert P. Mercure, H. Pepin, F.A. 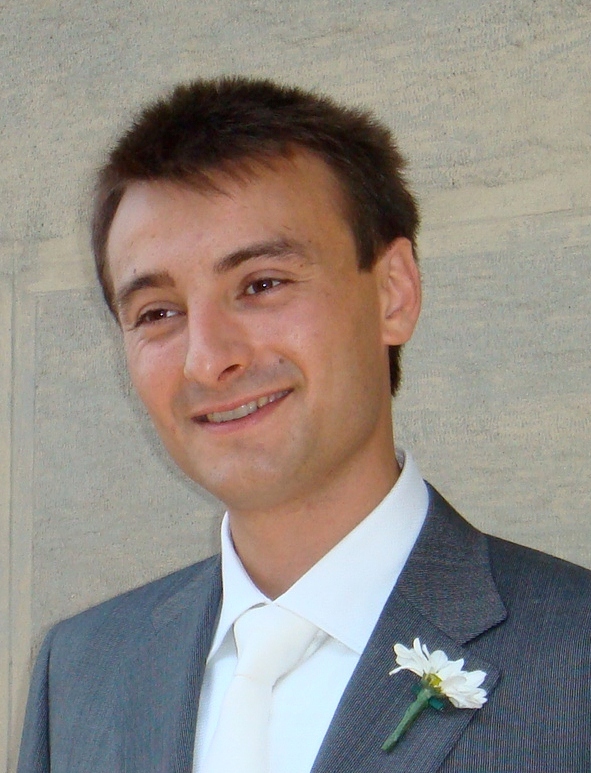 Rizk, "Modeling the triggering of streamers in air by ultrashort laser pulses", IEEE Transaction Plasma Science 28, 418–433 (2000). Abstract. 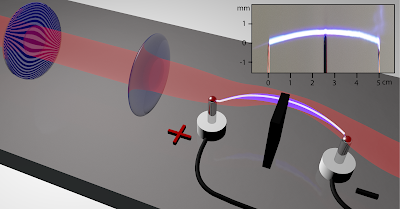 S. Tzortzakis, B. Prade, M. Franco, A. Mysyrowicz, S. Hüller, P. Mora, "Femtosecond laser-guided electric discharge in air", Physical Review E, 64, 057401 (2001). Abstract. G.A. Siviloglou, J. Broky, A. Dogariu, D.N. Christodoulides, "Observation of accelerating Airy beams", Physical Review Letters, 99, 213901 (2007). Abstract. F. Courvoisier, A. Mathis, L. Froehly, R. Giust, L. Furfaro, P.A. Lacourt, M. Jacquot, J.M. Dudley, "Sending femtosecond pulses in circles: highly nonparaxial accelerating beams", Optics Letters, 37, 1736–1738 (2012). Abstract. Ido Kaminer, Rivka Bekenstein, Jonathan Nemirovsky, Mordechai Segev, "Nondiffracting accelerating wave packets of Maxwell’s equations", Physical Review Letters, 108, 163901 (2012). Abstract. Matteo Clerici, Yi Hu, Philippe Lassonde, Carles Milián, Arnaud Couairon, Demetrios N. Christodoulides, Zhigang Chen, Luca Razzari, François Vidal, François Légaré, Daniele Faccio, Roberto Morandotti, "Laser-assisted guiding of electric discharges around objects", Science Advances, 1, e1400111 (2015). Article.